Facility Management India Expo aspires to be a cornerstone in the facility management industry in India. The expo will be a robust platform for 75F to showcase its innovative products alongside many other reputed companies. You can also choose to attend the conference and listen to thought leaders from the industry, including 75F VP & APAC Head, Gaurav Burman, present their views. Do drop by our stall no. E2 for some coffee and conversation! Traditional building control systems are designed for large buildings, require custom programming, and are often too complex and expensive for mid- to small-buildings that comprise much of the market. See how Cloud, IoT, Big Data, Predictive Analytics can come together for fast and easy smart buildings deployments today. CEO Deepinder Singh to present. CxEnergy Expo is the premiere conference and exposition for building commissioning and energy management. 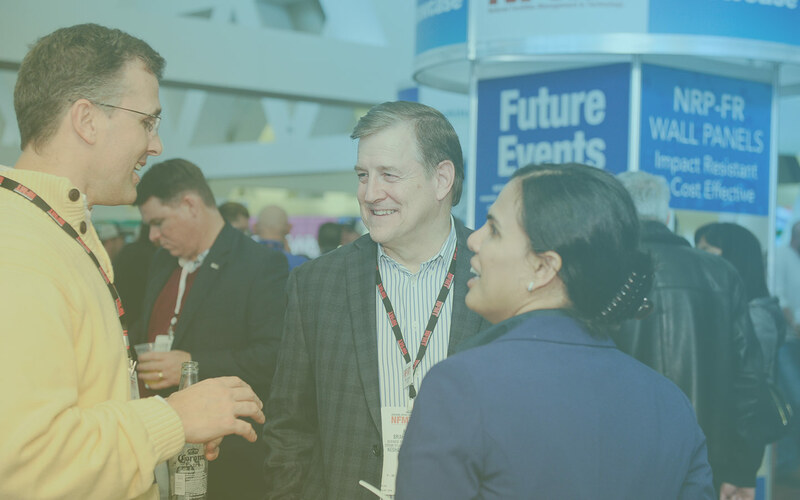 This year features an expanded exhibit hall with the latest technologies, more technical sessions by industry experts, certification seminars and exams for CxA and EMP, relationship-building opportunities, sponsorship and exhibit opportunities, and more! NFMT is free to attend. Your registration includes access to more than 125 educational sessions, entry to the industry's largest FM Expo, facility tours, and networking events. Follow us on social to stay up-to-date with future events. An insightful and engaging webinar where Deepinder Singh spoke about how the new 2016 version of ASHRAE standards leverage emerging Internet of Things (IoT) and sensor technologies for improved building controls around ventilation. He also focused on new technologies and engineering approaches shifting up the building automation world, with more efficient processes for building design and management teams, plus improved health and productivity results for occupants. We were at the Minnesota Chamber’s Annual Meeting to hear an assessment of the state’s economy, the election results and how real businesses are confronting ongoing challenges to grow Minnesota’s future together. Keynote speaker Scott Wine, chairman and CEO, Polaris Industries Inc., addressed address how trade, taxes and workforce challenge his company's growth in Minnesota. 75F had a wonderful time sponsoring the 'Facility Leaders Conclave', and meeting and interacting with so many like minded sustainability enthusiasts. Attendees enjoyed an evening filled with 75F and the United States Green Building Council (USGBC) at Insight Brewing. We teamed up with the USGBC to host an evening of networking and fun, with a focus on sustainability. Greenbuild is the world's largest conference and expo dedicated to green building. Greenbuild brings together industry leaders, experts and frontline professionals dedicated to sustainable building in their everyday work, and a unique energy is sparked. Tales on Tap is a series of after-hour get-togethers to learn the impressive stories behind a collection of some of Minnesota’s most innovative companies. Deepinder Singh told the story of the history of 75F. We had a blast participating in Verge 2018 on the CTO Alumni Success Panel. It was a pleasure having our CEO, Deepinder Singh, join Cleantech Open Co-Founder Marc Gottschalk, Verdigris CEO & Co-Founder Mark Chung, & OhmConnect Senior Markets Analyst Brian Kooiman. Shoutouts to Clean Energy Trust, Wells Fargo IN2, Clean Energy Economy MN, GreenBiz.com, & more. Minnovation Collective, a group of local corporate innovators, shared stories of corporations and startups in Minnesota who have worked together through accelerators, incubators and other programs. This event looked behind the curtain of what really happens when startups and corporations collide. The Twin Cities Startup Week Job Market job market was a great opportunity for UMN undergrad and grad students to interact with startup, early-stage, and small Minnesota companies – including us at 75F! The Minnesota Educational Facilities Management Professionals Association is a group of over 700 individuals in the area of facilities, grounds, health and safety operations for Minnesota K-12 and higher education. Their annual convention provides a high quality event for education building & ground staff. The CEO Summit was the inaugural gathering of the fund’s 75+ portfolio company CEOs who represent more than 40 cities nationwide. We spent time with the Rise of the Rest team & several of our LPs. This event crowned Minne Inno's Coolest Companies, who were culled from your nominations and from your votes. Spoiler alert... we won! The Internet of Things (IoT) MN Supplier Match Roundtable helps businesses interested in IoT with technology leaders to solve their challenges. The event featured a keynote presentation by the Mall of America and OST, a panel discussion on key issues that businesses need to consider, and roundtable discussions with local experts that can help you design, develop, and implement IoT solutions. The Innovation Showcase is an event led by the U.S. Department of Energy's National Renewable Energy Laboratory Innovation and Entrepreneurship Center. 75F CEO Deepinder Singh presented. We enjoyed an evening filled with beer and house-made snacks from Wooden Hill Brewing Company, networking and fun! Oh, and let's not forget the new Smart Stat! The 12th Annual MN Energy Expo from The American Society of Heating, Refrigerating and Air-Conditioning Engineers (ASHRAE) & Association of Energy Engineers (AEE) featured three session tracks with four speakers each and provide opportunity for learning as well as networking. We explored the critical issues, benefits, and opportunities of electrification with an unparalleled collection of industry experts. CEO Deepinder Singh presented on a panel. The features of Buildings 2.0 are incredible and promising, potentially improving the environment, the longevity of the building, and the lifestyle of the end user. We spent a day exploring the opportunities of future buildings, and what needs to be done to bring our goals closer to reality. 75F CEO Deepinder Singh was a featured speaker at Buildings 2.0. We enjoyed an evening in North Loop, Minneapolis, filled with beer, food, networking and fun. We shared what we've been working on lately with the Smart Stat and guests enjoyed a hands-on demo of our Occupant App and the Portfolio Energy Manager! We enjoyed an evening of networking, building automation and data insights. 75F shared a presentation and hands-on demo of our Building Intelligence Solutions and shared how the company is working with commercial building stakeholders to facilitate smart building adoption and optimal occupant experiences. Attendees left their routines behind in St. Cloud for the 2018 Annual Conference. Participants came together to celebrate our cities, capture new ideas, and connect with city colleagues. Our CEO, Deepinder Singh, along with City of Saint Paul and IoT Fuse panelists, spoke on the topic of smart buildings as part of smart cities, and how applied IoT helps serve citizens and occupants. CenterPoint Energy spoke on how they are investing in our infrastructure, keeps natural gas flowing and is addressing any reliability concerns, and how we are keeping our natural gas infrastructure secure. Sessions included both broad “vision” talks as well as interesting projects from individual engineers, researchers, and hobbyists. Bob French presented at IoT Fuse: Path to Profit in IoT. The event focused on how to make money in IoT. If you’re in IoT as a hacker, in an IoT Startup, or in business figuring out how to make money in the Internet of Things – this is the meet up for you. IREM Industry Partner events are a chance to network and show off business to IREM members and an opportunity for Property Managers to learn more about the services our Industry Partners provide. Over 500 Minnesotans attended the seventh statewide CERTs Conference, connecting to build a clean energy future in their communities! Communities, organizations, and individuals showed up to figure out how they can get projects done, save money, and be part of Minnesota’s fastest growing jobs sector. BOMA Greater Minneapolis is a trade association representing the interests of commercial real estate in Minneapolis and its suburbs. The Spring Break themed resource fair was an opportunity to network and learn about emerging technologies. Taking place alongside NFMT, the facility industry's leading conference and expo, SBIC's multi-faceted agenda offers key insights into creating highly automated facilities, reducing energy consumption, increasing occupant comfort and security, and applying data and smart analytics for optimal performance. At the RFMA 2018 Restaurant Facility Management Association annual conference, 75F shared how restaurants can manage multiple locations with a single-pane-of-glass solution for HVAC, Refrigeration, Indoor Air Quality (IAQ), Pressure, Humidity, Lighting and Energy Management. Attendees learned about the latest in energy-efficient building and technologies, renewable energy, best practices, and responsible design. Minnesota hosted a flurry of events in the week leading up to the Superbowl. As the 2014 MN Cup grand prize winner, 75F kicked off the lineup of MN Cup winners and finalists. Learn more. MinneInno, the regional media outlet focused on business innovation, technology and startups, selected 75F as an Inno Pick recipient honored in the new MinnneInno "50 on Fire" awards. 75F was at the AHR Expo 2018 at Chicago's McCormick Center, presenting and demo'ing our vertically integrated suite of building intelligence solutions with Daikin Applied in Booth #5530. We teamed up with USGBC to host an evening of networking and fun, with a focus on sustainability. Attendees learned about what we've been working on lately with a hands-on demo of our latest products.